I incorporate Twitter in each of my online and hybrid courses. However, most of this communication is optional and takes place through extra credit assignments. In a recent post by the Chronicle of Higher Education, David Silver wrote about his classroom experiences with Twitter. Silver requires his students to create a twitter account and to use the account to communicate with him and their peers. The most interested part of this article when Silver explains that another professor contacted him through Twitter to find out more about his assignment. Then, this professor adopted the assignment for her classroom. Read about their experience here - Twitter Meets the Breakfast Club. 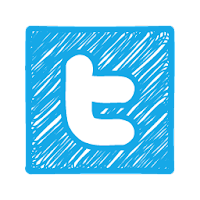 I hope to write a book about Twitter in the classroom and how to incorporate this communication technology in online and hybrid courses.